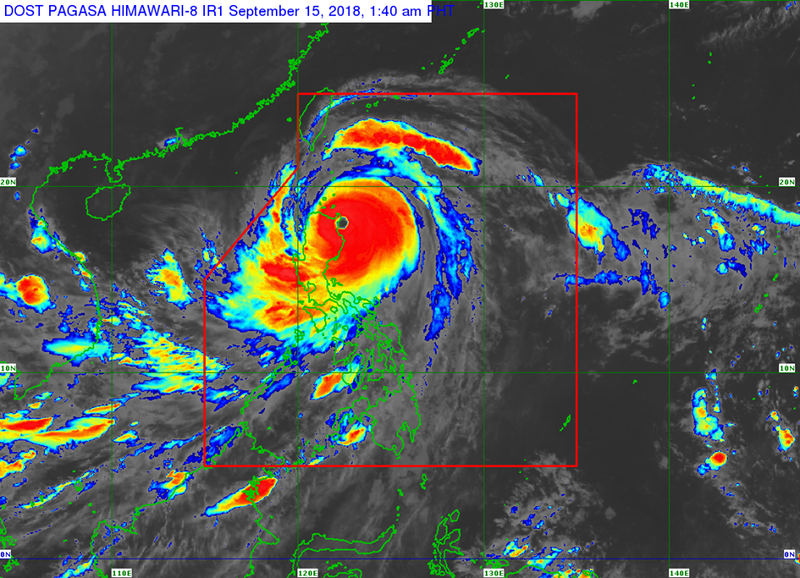 MANILA, Philippines – 'Bagyong Ompong' (international name: Mangkhut) has made landfall in Baggao, Cagayan at 1:40 am, September 15, state weather bureau PAGASA announced in its 2:00 am update. At 1:00 am today, the eye of Typhoon Ompong was located based Aparri radar and other available data at 90 km East Northeast of Tuguegarao City, Cagayan (17.9 °N, 122.5 °E ). 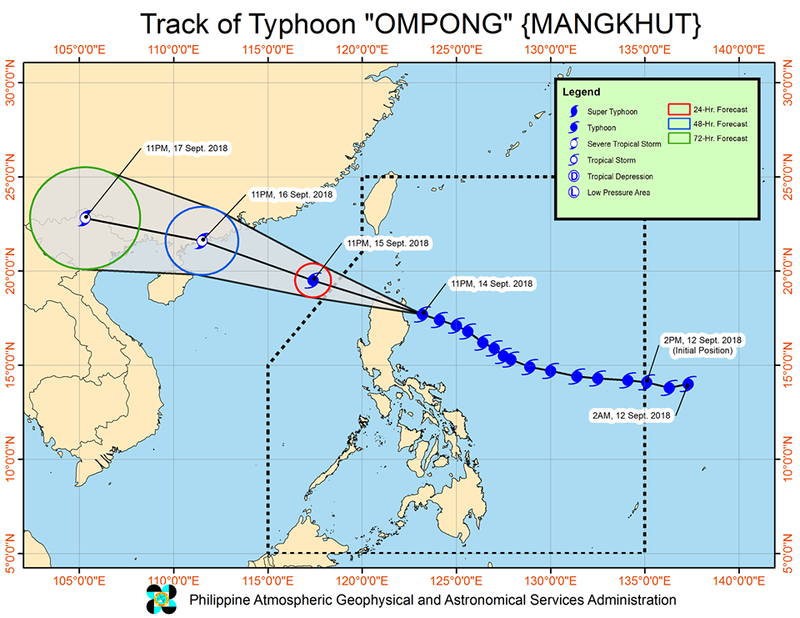 'Bagyong Ompong' has maximum sustained winds of 205 kph near the center and gustiness of up to 285 kph. It is moving West Northwest at 35 kph. Many large trees may be uprooted. Electrical power distribution and communication services may be severely disrupted. In the overall, damage to affected communities can be very heavy. Northern Quezon incl. Polillo Is. Few big trees may be uprooted. Many banana plants may be downed. Large number of nipa and cogon houses may be partially or totally unroofed. Some old galvanized iron roofings may be peeled off. In general, the winds may bring light to moderate damage to the exposed communities. Twigs and branches of small trees may be broken. Some banana plants may be tilted or downed. Some houses of very light materials (nipa and cogon) may be partially unroofed. Unless this warning signal is upgraded during the entire existence of the tropical cyclone, only very light or no damage at all may be sustained by the exposed communities. Rice crop, however, may suffer significant damage when it is in its flowering stage. Possible Storm surge height in surge prone areas: up to 6 meters in Cagayan and Ilocos Norte; up to 3 meters in Isabela; up to 2 meters in Ilocos Sur, La Union and Pangasinan.